US stocks closed mixed amid a lackluster session. The S&P 500 and Dow Jones industrial average booked small losses while the Nasdaq eked out a gain. The Dow closed above the psychologically important 20,000 level for a third straight session. US GDP whiffed. The first estimate for fourth-quarter GDP showed the US economy grew at an annual rate of 1.9%, according to data released by the Bureau of Economic Analysis. Wall Street had expected growth of 2.2%. 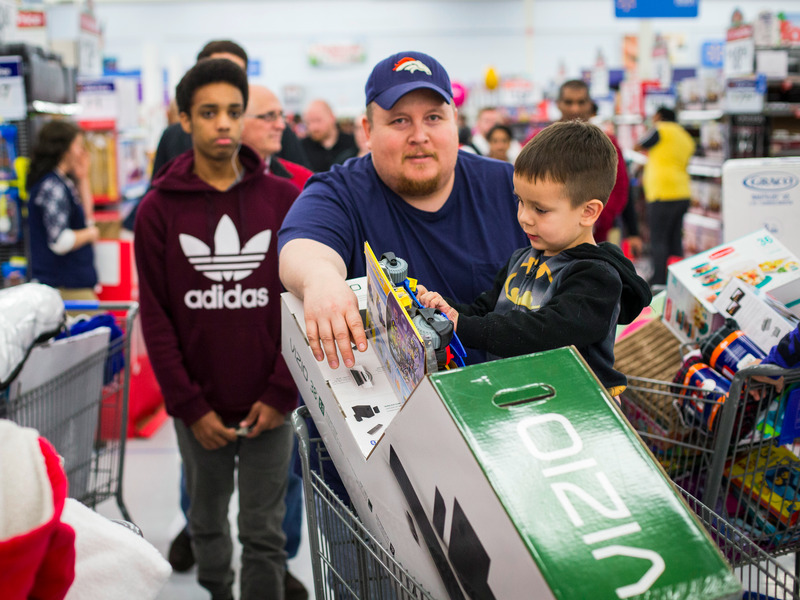 Consumer confidence is at a 12-year high. The final January reading for University of Michigan consumer confidence came in at 98.5, its highest a dozen years. "The post-election surge in confidence was driven by a more optimistic outlook for the economy and job growth during the year ahead as well as more favorable economic prospects over the next five years," said Richard Curtin, the survey's chief economist. The Mexican peso surged. 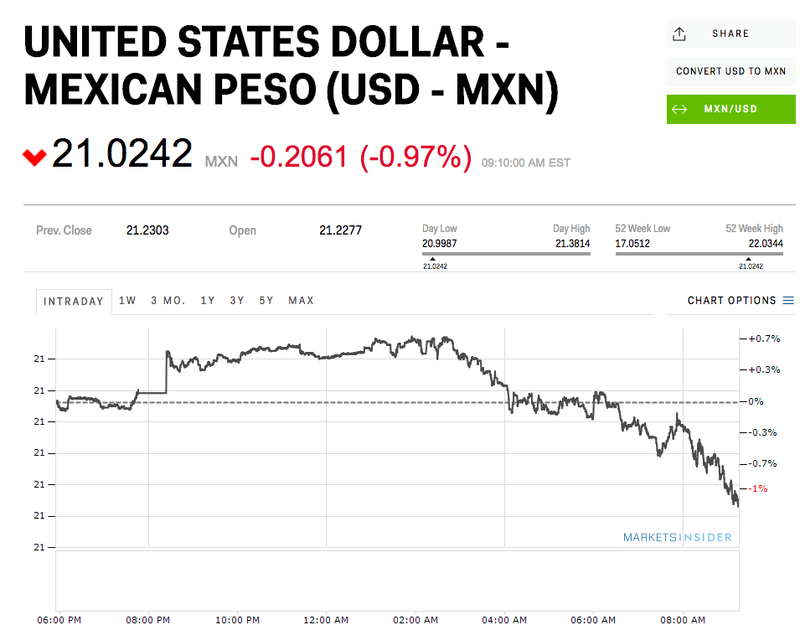 The peso gained as much as 1.7%, hitting a high of 21.3806 per dollar, after President Trump and Mexican President Enrique Peña Nieto had an hour-long phone conversation. Friday's call followed Thursday's fireworks, which saw Trump tweet about how Mexico should pay for the border wall and Peña Nieto canceling their meeting that was scheduled to take place next week. Microsoft's value tops $500 billion. The last time Microsoft was valued at more than $500 billion was in 2000, just before the tech bubble burst. Friday's gain of more than 2% lifted the company's valuation to a record high. The post The US Postal Inspection Service is Seeking Bitcoin ‘Intelligence Gathering Specialists’ appeared first on CryptoCoinsNews. Legislators gathered this week to hold a hearing on a measure that would prohibit cannabis firms in the state of Washington from working with bitcoin. 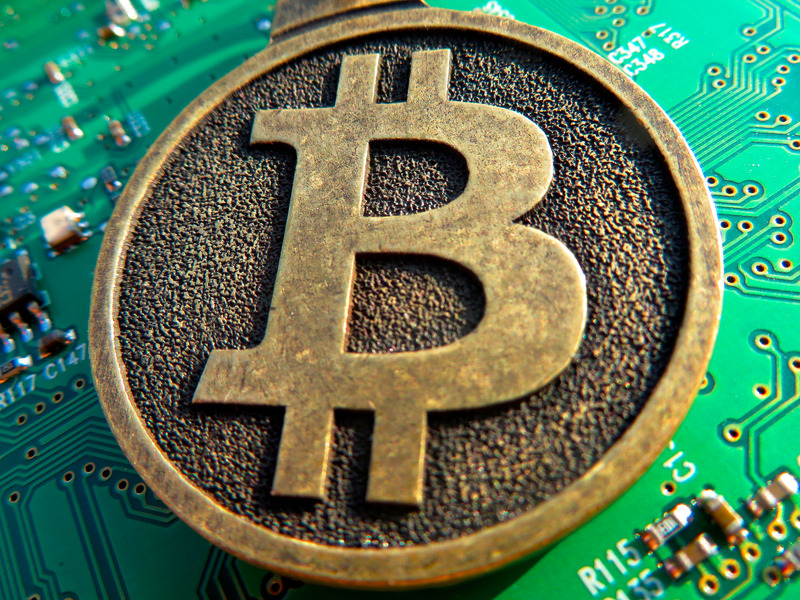 The post Bitfinex’s Hacked Bitcoins Are on the Move; 5% Recovery Bounty Offered appeared first on CryptoCoinsNews. The US oil rig count climbed for the second week in a row, rising by 15 to 566, according to Baker Hughes. This is the highest count since November 13, 2015. Meanwhile, the number of active gas rigs rose by three to 145. Last week, the US oil rig count resumed its climb, rising by 29 to 551, according to Baker Hughes. That was the biggest one-week increase since April 2013. 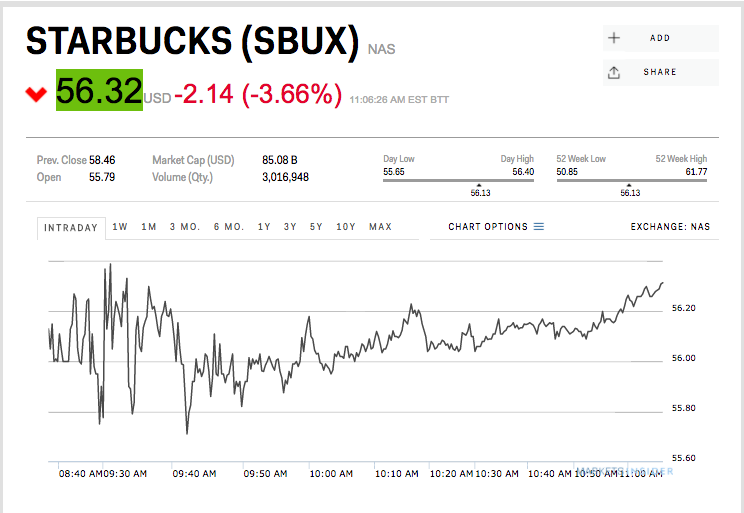 Starbucks is down 3.7% at $56.32 a share on Friday morning after announcing first-quarter results. Results were mostly in line with Wall Street estimates, with the exception of the company's forecast for 2017 revenue growth of 8% to 10%, down from its previous estimate of a double-digit rise, Reuters reports. The company also said that visits to its stores in the US were down. Starbucks is struggling to deal with the amount of mobile orders coming through its stores, which is slowing down service and alienating customers. Transactions, a measure of customer traffic, dropped 2% in the most recent quarter, according to the company. Starbucks is also facing pressure from declining traffic to shopping malls and restaurants, as customer shopping habits change and people increasingly choose to eat at home. Microsoft is up 1.8% at $65.40 a share on Friday morning after the company's second quarter results topped Wall Street's expectations. Microsoft's cloud computing business continued to post strong gains even as its traditional Windows and Office businesses showed signs of struggling. Earnings per share of $0.84 on an adjusted basis, versus $0.79 expected. Revenue of $25.8 billion. That figure excludes Windows 10 revenue deferrals and results from the just-acquired LinkedIn, making it a clean beat on the $25.28 billion expected by Wall Street analysts. Notably, LinkedIn contributed $228 million of revenue to the Productivity unit in the three weeks between the acquisition closing and the end of the quarter. The bad news came out of the More Personal Computing unit, which dipped 5% versus a year ago to $11.8 billion. While Microsoft says that its business of licensing Windows to PC manufacturers was up 5%, the revenue from the Xbox-driven gaming business was down 3%. When Microsoft last reported earnings in October 2016, the strength of its cloud business propelled the company's stock to an all-time high. 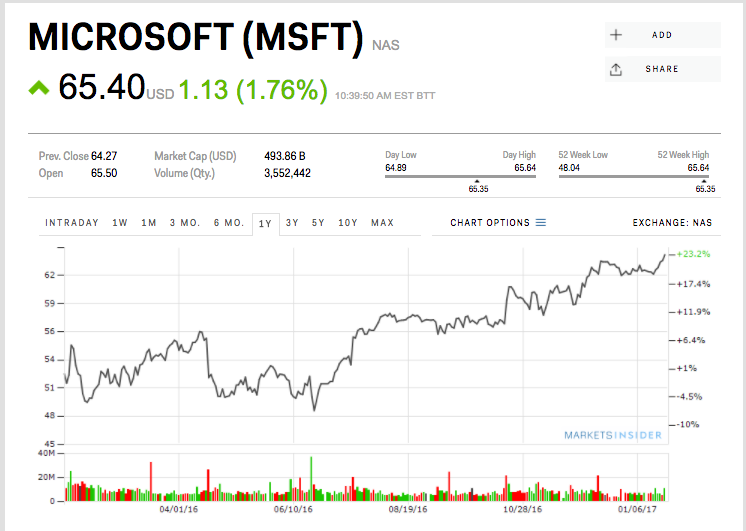 Microsoft is up 1.8% at $65.40 a share on Friday morning after the company's fourth-quarter results topped Wall Street's expectations. Google’s mobile search and video ads boosted revenue in the fourth quarter, but increased spending on hardware and other new businesses, as well as a larger-than-expected tax rate, weighed on the bottom line. 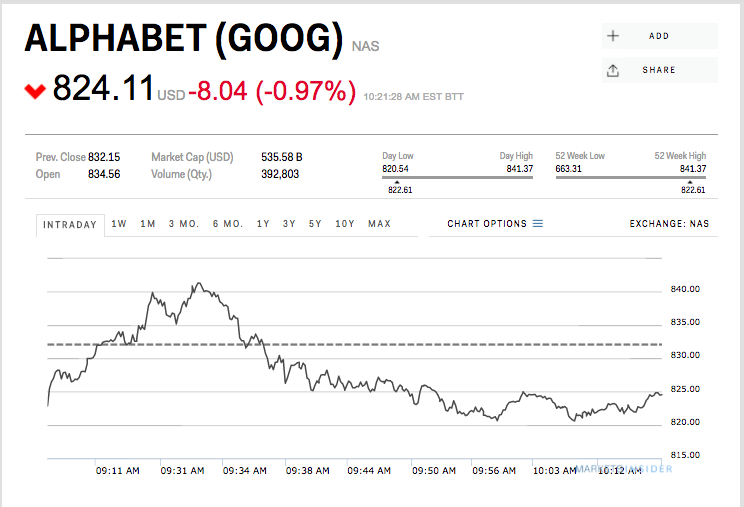 In addition to the hard numbers, investors had their eyes on Alphabet's "Other Bets" — the separate companies focused on ambitious new projects from self-driving cars to biotech. Ant Financial, owner of Chinese payment platform Alipay, has agreed to buy MoneyGram, for $880 million in the firm's first deal with a US listed company, according to Bloomberg. The purchase will give Ant Financial access to the legacy remittance firm's massive network, which includes 2.4 billion bank and mobile accounts, boosting its presence outside China. Ant Financial has been expanding internationally, but this is its most significant move to date. However, the purchase of MoneyGram will allow Ant Financial to significantly expand its global reach with international users. MoneyGram has roughly 350,000 partners in over 200 countries, where it has a local sales force and operations. Leveraging this network will give Ant Financial massive reach to push its financial service offerings by integrating its mobile platforms and services with MoneyGram’s network. This will help the company reach its goal of having 2 billion financial service users in the next 10 years, according to CNBC. This move could become even more profitable as Ant Financial leverages its digital network to build MoneyGram’s digital presence. At a time when digital remittance is increasing in popularity, MoneyGram has seen slowing growth in this segment. In Q3 2016, MoneyGram only saw digital revenue grow by 12% year-over-year (YoY), which represented 13% of all money transfer revenue. This shows growth has continued to slow, as digital revenue grew by 17% in the previous quarter and by 71% in Q3 2015 a year ago. For some context, major rival Western Union saw consumer-to-consumer (C2C) revenue from Westernunion.com grow by 28% on a constant-currency basis in Q3 2016, with transactions growing 29%. However, this deal will bring MoneyGram new access to a massive digital network, which is likely to include Alipay. The mobile wallet already counts 450 million Chinese citizens as users. If Ant Financial were to incorporate MoneyGram's remittance capabilities with Alipay, MoneyGram could immediately see massive growth in its digital segment. And if the company's target of having 60% of its transaction volume coming from outside China is to come to fruition it's likely international citizens will get access to Alipay, which in turn would make MoneyGram even more profitable. Massive mergers such as this are sure to have a drastic effect on the payments ecosystem, which has grown exponentially in the last few years to include vendors, acquirers, merchants, processors, and more. The post Bitcoin Core Dev Recommends a 70% Reduction in Transaction Capacity after $250 Million Backlog appeared first on CryptoCoinsNews. The reading on US consumer's outlook was 98.5, better than the 98.1 expected to economists. This was also above than the initial reading of 98.1 earlier in the month. At the same time, however, Reagan also imposed extreme tariffs against Japan — a massive trading partner with the US. 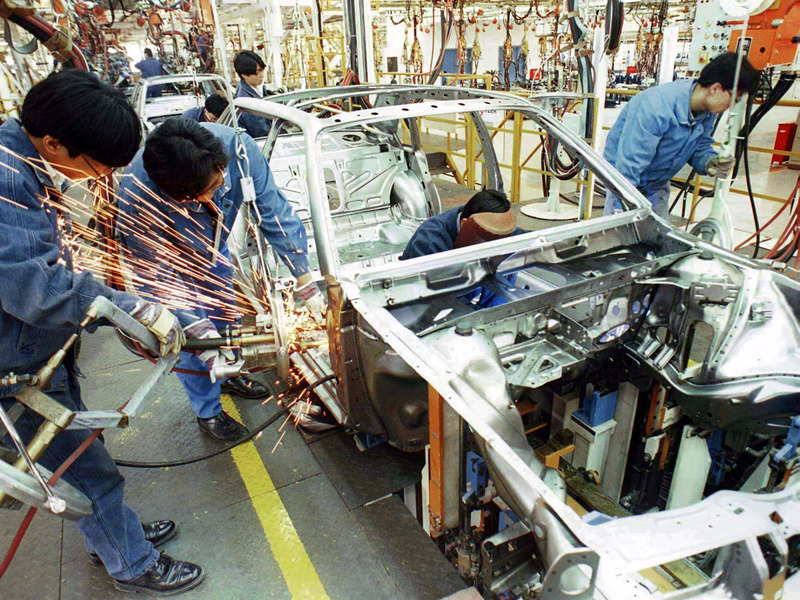 Reagan restricted the number of Japanese cars that could be sold in the US, imposed a tariff on Japanese motorcycles, and even instituted a 100% tariff on Japanese electronics. 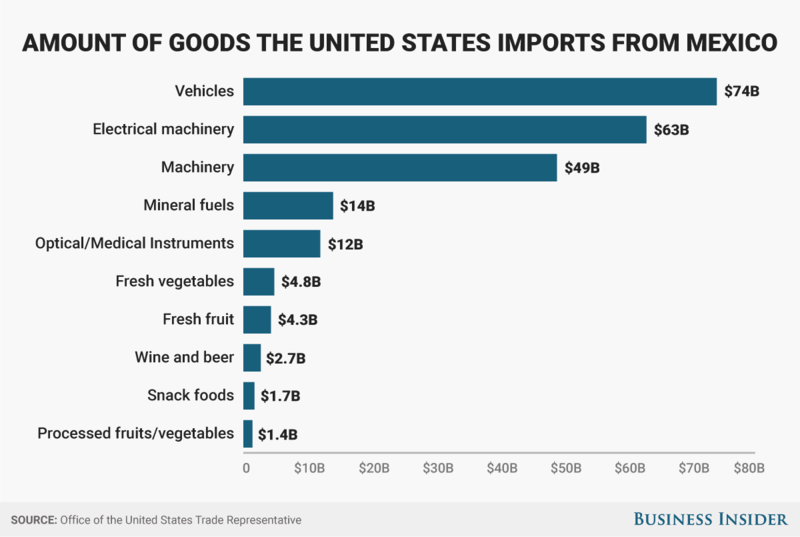 President Reagan deployed similar trade measures when motorcycle and semiconductor imports threatened U.S. industry," said Trump in a speech during the campaign. "I remember. 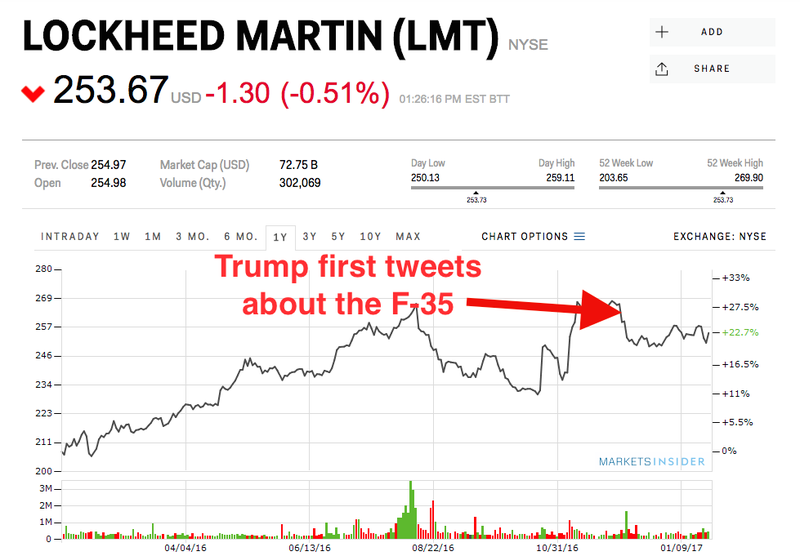 His tariff on Japanese motorcycles was 45 percent, and his tariff to shield America’s semiconductor industry was 100 percent, and that had a big impact, folks. A big impact." Many economists agree that Reagan's Japanese tariffs were at least as harmful as helpful — if not more detrimental — but it seems that Trump is mostly following that part of Reagan's trade legacy. The Mexican peso is higher by 1% at 21.0026 per dollar as of 9:15 a.m. ET after a tweet from President Trump stated, "Mexico has taken advantage of the U.S. for long enough. Massive trade deficits & little help on the very weak border must change, NOW!" The peso was clinging to small gains ahead of the tweet from President Trump but accelerated to its best levels of the day after Trump continued his aggressive tone towards Mexico. Friday's gains come after a wild session on Thursday that saw the peso climb as much as 1.3% following a back and forth between Trump and Mexican President Enrique Peña Nieto. Early on Thursday, Trump tweeted, "The U.S. has a 60 billion dollar trade deficit with Mexico. It has been a one-sided deal from the beginning of NAFTA with massive numbers of jobs and companies lost. If Mexico is unwilling to pay for the badly needed wall, then it would be better to cancel the upcoming meeting." Peña Nieto responded with a tweet of his, "This morning we have informed the White House that I will not attend the meeting scheduled for next Tuesday with the @POTUS." The Mexican president has repeatedly said that Mexico will not pay for the boarder wall. Later on Thursday, the Trump administration said it was considering a 20% border tax on Mexican imports to pay for the wall. The Mexican peso has fallen about 13% since Trump's election victory on November 8th. Elite US universities tend to recruit from the top of the income distribution. A study recently released by the Equality of Opportunity Project investigates the role of college in intergenerational class mobility. 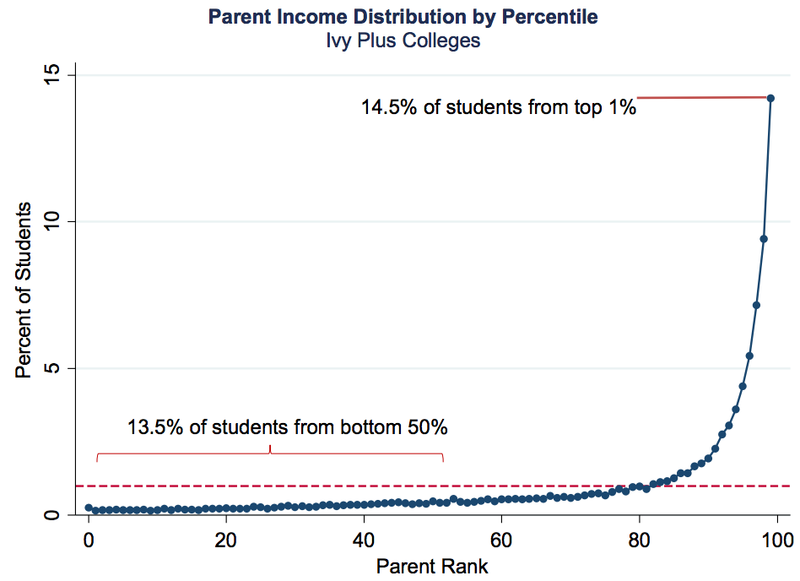 Among other topics, the research team, led by Stanford University economist Raj Chetty, used income tax and college enrollment data to look at the distribution of students by parental income at what they call "Ivy Plus" schools: The eight universities of the Ivy League, along with the University of Chicago, Stanford, MIT, and Duke. The researchers found a stunning result: At these twelve colleges, 14.5% of students came from families in the top 1% of the income distribution, while just 13.5% came from the bottom 50%. The post Bitcoin Wallet Xapo Receives Early Approval from Swiss Financial Regulator appeared first on CryptoCoinsNews. The latest reading of durable goods orders from the Commerce Department is set to be released at 8:30 a.m. ET. The reading for the month of December is expected to come in at 2.5% growth from the month before. Core durable goods, excluding autos and transportation equipment, are expected to rise 0.5% m-o-m. 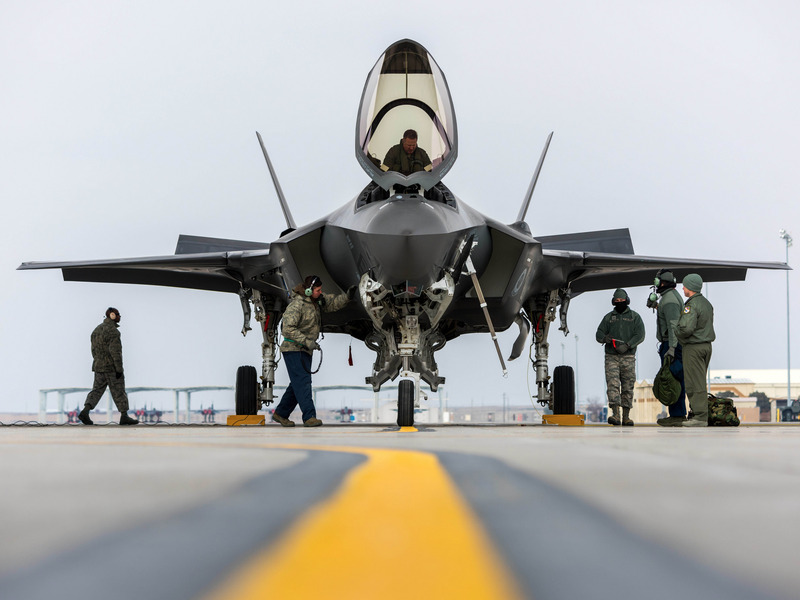 Excluding defense goods, growth of 0.2% is expected from economists. The reading on orders for long-lasting goods is expected to bounce back from falling by 4.6% in November, with core goods expected to stay steady at 0.5% growth m-o-m. The first estimate for the fourth quarter's GDP will be out at 8:30 a.m. ET. 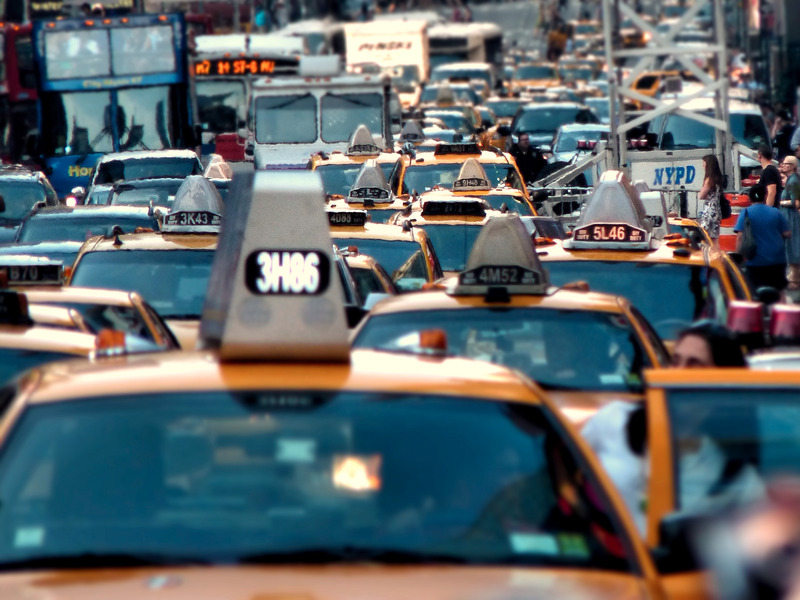 Economists estimate that the fourth quarter grew by 2.2% quarter-over-quarter, according to the Bloomberg consensus. According to the Commerce Department's third quarter estimate, the US economy grew by 3.5% in the third quarter, stronger than was previously reported. That was the final report on third-quarter GDP until annual revisions are published in 2017.
Business Insider recently caught up with Rebecca Patterson, the chief investment officer of Bessemer Trust, to hear about her outlook for the global economy in 2017. Bessemer Trust, a privately owned wealth and investment management firm, oversees more than $100 billion in assets. Patterson was the former Chief Markets Strategist for JPMorgan Asset Management and former Global Head of Foreign Exchange and Commodities for the JPMorgan Private Bank. She started her career in journalism as a reporter for Dow Jones in London. She is a member of the Council on Foreign Relations, the New York Federal Reserve's Investor Advisory Committee and the Economic Club of New York. 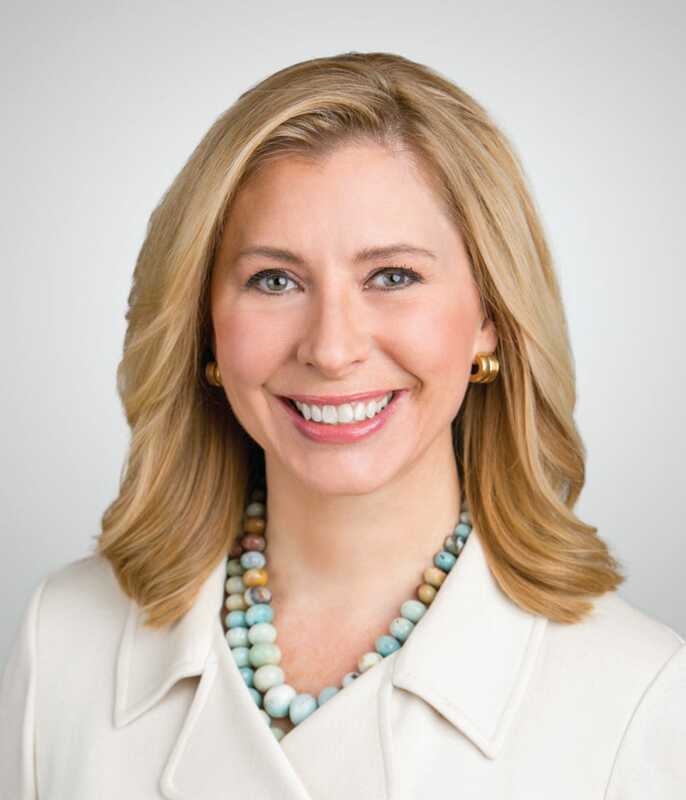 American Banker named her one of "The 25 Most Powerful Women in Finance" in 2014, 2015, and 2016. In the interview, Patterson discusses protectionism, China and where she sees value. Tina Wadhwa: The Dow finally hit the "landmark" number of 20k on Wednesday. Is this overrated, is this relevant? Does it actually mean anything for the markets or is it just a psychological high? Rebecca Patterson: The Dow reaching 20,000 is more psychological in my view than anything. What’s more important is what’s happening behind the scenes. Economic data in the U.S. and overseas that is generally improving, better earnings news from US companies, and growing hopes that policy will translate into even faster economic activity. Of those, I worry mainly about the policy. So much is being discounted into valuations now that it will be increasingly important that Congress and the White House show action quickly to back up the rhetoric. If legislation gets watered down or significantly delayed, or if policy focus turns more towards global trade restrictions, we could quickly see at least a short-term pullback in stocks. Wadhwa: So this week marked President Trump’s first full week in office and he has embarked on some pretty protectionist measures. He pulled the US out of the TPP, and in a meeting with business leaders said he was going to impose a “very major border tax” on US companies that move overseas and export back into the US. There’s also his likely renegotiation of NAFTA. What is the impact of this and how do you think a more inward looking US will affect the global economy? Patterson: We’ve been saying since well before the election that how the US economy and how the financial markets would fare under Trump would depend in part on which Trump we got — a President Trump focused on deregulation, tax reform and infrastructure or a trade focused Trump. Our view has been and continues to be that if Trump focuses relatively more on trade and getting more introspective as a country or inward looking as a country, we see a lot less upside for equities. In fact we could see quite a bit more downside risk. Some of this I feel like is going to be a bit of a tango, we’ll take two steps forward, one step back. We may have a day where he has meetings and announcements on tax reforms and we’ll see equities rise and then we’ll have a day where he decides to have some aggressive rhetoric on trade and markets will consolidate ot sell-off. That’s largely the pattern we’ve been seeing since November 9th. I think at the end of the day, as easy as it is to focus on the hour by hour, as there is so much news focus on this right now, you need to take a more medium to long-term view. So base case at the end of 2017, where do you think you’re going to be? We think, even though it’s not going to be happen in the first 100 days, by the end of this year we are going to get some kind of corporate tax reform. That is our base case. We think Congress is making it a priority because they know if they don’t deliver it, the mid-term elections are going to be a lot more tough for them. People expect it, and they’re going to be very disappointed if it doesn’t happen. So we do think you’re going to get some kind of tax reform, corporate, as individual is a lot more difficult. We do think we’re going to get some deregulation, they announced Keystone. One could argue that’s less regulation around energy policy. So that’s all positive and we think that is, at the margin, going to be stimulative for the economy especially towards the end of the year and into 2018. And that will help support business confidence and hopefully actual business activity. That said, we also do expect we are going to get some trade hits — the question to me is how aggressive is it and what actually happens. Trump had campaigned that he was going to have China called a currency manipulator on day one. And guess what, it didn’t happen. And I’m delighted it didn’t happen. To me, if that had happened, that would have been a major negative catalyst for global equity markets because a trade war with the second biggest economy in the world doesn’t end well. For anybody, including the United States. So I’m happy that didn’t happen. 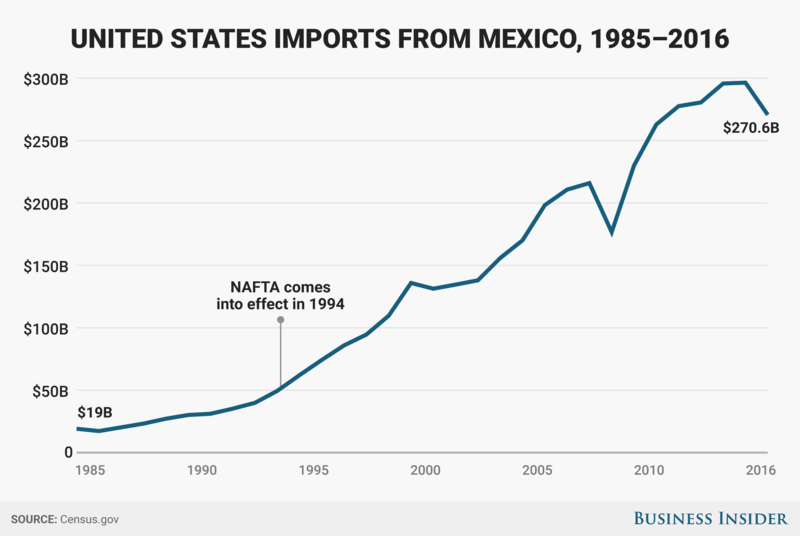 Yes he announced he’s renegotiating NAFTA, but what does that look like? If it ends up being very modest changes, and it’s more of a marketing win rather than a huge economic change, then that negative for the markets isn’t that great. And Mexico probably wants this clarified as soon as possible so they can move forward. I could see them giving something to Trump so he can go back to his base and to the country and say "hey I got you a better deal, and it’s done." And if Mexico can keep 85% or 90% of NAFTA benefits, and they can put this behind them and the peso is no longer in free fall, they’re happy too and so I think he can strike a deal there and probably get it done quite quickly. If he can do things like that and avoid the border adjustment tax or a major trade war with China, I think that negative risk around Trump is at a minimum. So that’s my hope. The problem is you just don’t know. When you look at the people he’s appointed to key positions on trade, like Navarro, Leithauser, etc. they historically have been pretty tough on China, especially Navarro. I think in terms of financial markets this year, policy direction is going to be very important. It’s something we all are going to have to keep following and understanding. How it evolves is going to be a major factor in how cyclical assets perform. If there is relatively more progress on tax reform and deregulation, it’s better for equities. If the trade stuff ends up being more marketing than real, I think that’s good news. What worries me is if you have a big trade effort like the border adjustment tax which ends up being stagflationary and/or a major trade issue with China. Those would be the risks I’m watching for. Wadhwa: Markets as a whole have been rallying since Trump got elected, and there seems to be a lot of optimism for the economy right now. Do you agree with this reaction, or have we failed to price in the uncertainty you spoke about? Patterson: I think the initial reaction to Trump was a repositioning. The consensus view going into the election, for good reason as that’s what all the polls were suggesting, was that Hillary was going to win and so people had gone in expecting an economy that was sort of the same — modest growth, equities chugging along slowly. When we got a different outcome, a lot of investors went to reposition their portfolios as quickly as possible. So we saw this huge rotation. And then once that positioning was largely done, everyone was kind of sitting on their hands waiting what to do next. I think there is quite a bit of good news discounted in the market. Valuations are already high. Our view on equities is that we’re constructive but not euphoric. We’re neutral equities for a typical client versus our benchmark. So we’re not overweight stocks because we think the valuations are high. If Trump succeeds with tax reforms etc., then we probably also have higher wages, more inflation and the Fed tightens a little bit faster, and so we’re probably still looking at a recession during his term. At this point in the cycle, I would rather be neutral than overweight. And then within our positioning, focus on areas that should benefit if we do get the tax reform, but also think about what would we want to own if some of those risks play out. We’re aggressively overweight US stocks. We have a tilt towards more domestically oriented names, more cyclical names, we’re quite overweight the dollar, but we haven’t abandoned the non-Trump trades, if you will. We still have a healthy amount of consumer staples in our portfolio. We still have some managed volatility strategies in our portfolio. We still have a modest degree of select non-US exposure in our portfolio, and what’s been fascinating to me is that the non-US and the non-Trump trades have outperformed. And that gets me back to the year being a tango. We’ll take a step forward and a step back. I think that’s going to be the story of the year. It’s just going to be a see-saw back and forth within the sectors. Wadhwa: When you say non-US, are you looking towards Europe, Asia, the emerging markets? Where do you see value? Patterson: We’re so overweight the US that mathematically we have to be underweight everything else. I’d say where we feel more strongly about the underweight is the UK. We think as the Brexit negotiations get going in earnest, you’re likely to see Sterling fall further, even from current levels. The Current Account Deficit there is enormous as a percent of GDP, and they’re going to have a hard time attracting the capital flows to offset that. We also think that as Brexit negotiations get going and people see how difficult those are, business confidence in the UK is probably going to worsen. With Europe, we’re less nervous. I want to love Europe. It’s killing me, not to love Europe. Because you’ve got a Central Bank that’s still easing, in contrast to the US, and you have much better equity valuations compared with the US. For the first time in a while we’re actually seeing some good economic momentum. So if you look at the business confidence surveys, consumer confidence surveys, bank lending, all these things are saying, okay you’ve got some positive momentum that could help corporate earnings here, which is great. With all of that, I should be buying this and not the US, but then you get to the election calendar, and you’re stopped dead in your tracks. Because the French election in April and May, it’s Brexit on steroids. Le Pen is highly unlikely to win the election, but now we’ve seen time after time after time polls can be wrong. She’s campaigned on exiting the euro currency block, and that to us is a much bigger deal than Brexit because it would throw into question the credibility of the entire single currency for Europe. So it’s a big enough risk that despite a lot of positives for continental European equities, we’re going to stay underweight. We have some exposure, but pretty minimal, and then we’ll see how that election story plays out. We might be late into it, but if she doesn’t win and you get someone a bit more centrist in that seat in May, you could have a really nice second half of the year for Europe, all else equal. So that’s an area we’re keeping a close eye on. In Japan, the weakening yen with the strengthening dollar, all else equal, is good for Japanese stocks. Japan is very sensitive to US growth, so if the US is doing better, that tends to be good for Japan. Again we’re keeping a close eye on all of these trade talks, because if he doesn’t like weak currencies helping foreign economies — I see Japan in the crosshairs a little bit. So again underweight there but not as a strong a view as the UK. With emerging markets, we’re just looking for selective companies which we think are less sensitive to possible trade situations under the Trump administration. China is the one we care most about. Mexico needs America. 25% of their GDP comes from exports to America, so they don’t have a choice. If Trump wants to deal, they have to deal. China is not nearly as reliant on exports to America as Mexico is. So if we go after China, I don’t think they are just going to sit there and take it. They’re going to retaliate in some fashion. They could threaten to lighten the amount of US Treasuries they hold or they could devalue their currency to offset any tariffs we place on them. They could also retaliate in a more indirect way. It could be militarily in the South China Sea by taking a greater stand there for example. There’s lots of things they can do. 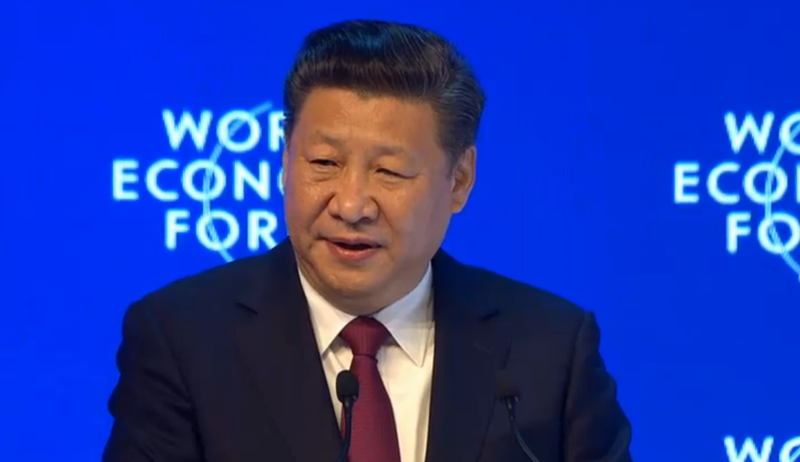 I think it was fascinating to see President Xi at Davos talking about how China is open for business. He sees an opportunity for China to strengthen its global footprint and its leadership role in the world. We’ll see how successful he is, but certainly with the trade agreement they’re working, ARCEP, he could end up benefitting greatly from this opportunity. But do we buy Chinese stocks? If we wake up and there’s a tweet about a Chinese manipulator or a Chinese tariff, the short term reaction is going to be China equities lower and greater expectations for a weaker renminbi. Then you’ll see the spillover effects to any country that has trade relations with China. That will include Asia but also a lot of the commodity exporters like Chile. It will have a global impact. The risk is great enough that even though there’s some interesting things going on with Asia right now, we’re just keeping our exposure modest and the security selection very selective. Bitcoin trading volume continued to decline on 26th January, following the trend that began when major Chinese exchanges began charging trading fees. What would happen if you put three of the buzziest areas of finance — roboadvising, blockchain, and peer-to-peer lending — together? The new robo-hedge fund, which combines cloud-based automation with machine learning technology, was launched on January 26 by LendingRobot, an alternative lending roboadviser based in Seattle, Washington. It's an extention of LendingRobot, which automates management of existing peer-to-peer accounts, and has $120 million in assets. Instead of putting money into typical assets such as stocks, bonds, and commodities, LendingRobot Series provides "accredited investors" a platform to invest in business, consumer, and real-estate loans across various peer-to-peer origination platforms, including Lending Club, Prosper, and Funding Circle. These investments can yield 8% to 10% returns, according to LendingRobot. Investors on LendingRobot pick from one of four investment preferences or "Series," based on their appetite for risk: Short Term Aggressive, Long Term Aggressive, Short Term Conservative, and Long Term Conservative. The firm manages all of its clients' investments using algorithms, rather than human money managers. This allows them to charge much lower fees compared to human-run funds. LendingRobot Series doesn't take a cut for performance. The fund charges a management fee of 1% and caps fund expenses at 0.59%. And the firm uses blockchain, the technology behind the bitcoin currency, to allow investors to view their investments every week. "Unlike traditional hedge funds, they can see everything," LendingRobot CEO Emmanuel Marot told Business Insider. "We're not just asking them to trust us blindly," he said. The public ledger allows the firm's clients to see all the notes in which the Series has invested, the current value of those notes, and the amount of money that has been paid back on those notes. The ledger is published under a hash code, which prohibits LendingRobot Series from changing anything. "We can't fudge the numbers to give investors a different impression of what's going on, because it would change the entire hashcode in the blockchain, which would invalidate it," said Marot. When asked if he foresees traditional hedge funds implementing some of the capabilities LendingRobot Series is utilizing to stay competitive amid a number of industry pressures, Marot told Business Insider that there was no question. "They have to change in order to adapt," he said. "If they don't, then they could potentially face the same fate as travel agencies, for instance, when companies like Expedia entered the market." "No one fifteen years ago would have thought travel agencies were going anywhere, and now look where they are today," he added.